The Silkie is a breed of Chicken named for its plumage, which feels like silk. 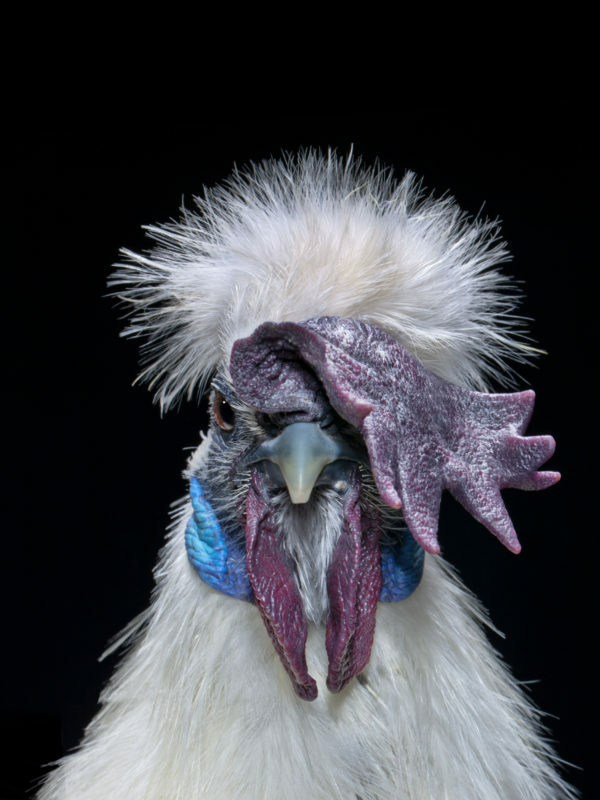 The breed has black skin and bones, blue earlobes, and five toes on each foot, whereas most chickens only have four. It is unknown exactly where or when these fowl with their singular combination of attributes first appeared, but the most well-documented point of origin is ancient China. The earliest surviving written account of Silkies comes from Marco Polo, who wrote of a “furry chicken” in the 13th century during his travels in Asia. In it, he spoke on “wool-bearing chickens” and ones “clothed with hair like that of a black cat.” Silkies most likely made their way to the west via the Silk Route and maritime trade. The breed was recognized officially in North America with acceptance into the Standard of Perfection in 1874. Once Silkies became more common in the West, many myths were perpetuated about them. Early Dutch breeders told buyers they were the offspring of chickens and rabbits, while sideshows promoted them as having actual mammalian fur.